Are you an AHPA Member? To receive a discount on the subscription rate available to members, click here. Are you interested in becoming an AHPA member and receiving benefits such as a discount on the online BSH? Click here to learn more. Every time you log in to the Handbook, you're greeted by a dashboard displaying valuable information at your fingertips. You'll find your most recently viewed herbs, herbs that are trending and any herb updates. Did you know? You can bookmark herbs and access them in your "My Botanicals" page? This makes for quick access to herbs that you want to view regularly. Did you know? 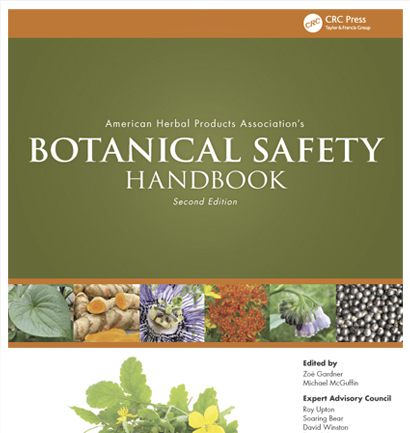 The Handbook is also available in print? You can preview the printed version from your computer by clicking here. Never worry about updates again. As a subscriber, you can choose to be notified via e-mail anytime we make a non-technical change to the Handbook. By checking this box, you agree that your credit card will be charged the per user amount above for easy renewal on your yearly subscription anniversary date. Enter an email address to send email. Error sending email. Please verify email address or contact administrator.